HomeDietaryWhat are the best protein choices? What are the best protein choices? The question what is the best protein is posed quite often in the fitness and health industries! 1) The best protein, Egg Protein is generally easily tolerated by the digestive system as opposed to whey protein which has a bad reputation for digestive upset. Almost everyone has a level of lactose intolerance making whey protein a less desirable choice. As a result this can range from a mild digestive disruption to being violently ill from it. 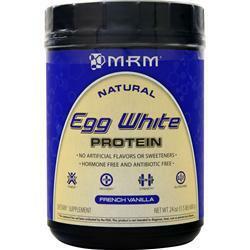 Since Egg protein contains no lactose it appears to be more tolerable to the digestive system. 2) Egg Protein is considered to be a complete protein as it includes all of the essential amino acids. The meaning of an essential amino acid is one that the body does not produce on its own and has to be obtained from an outside source for example a food or protein powder. Learn more about amino acids here. 3) Taste! As we have discovered in working with many clients that taste is a high ranking factor when someone sticks with a healthy dietary lifestyle. If something is not palatable it is highly unlikely that someone will find it sustainable. On the flip side if something tastes good and is good for you the likelihood for long term use is very high! Occasionally there are people who have certain food sensitivity or allergies even to eggs which is quite rare but can be possible. In these case people will ask what would be the next best choice for complete proteins? Of course we are always respectful if you choose a dietary lifestyle that is animal product free as well so there are other options. 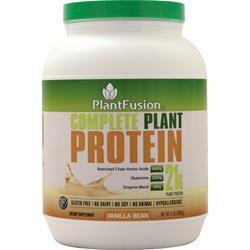 The next best would be to find a quality plant based protein such as Plant Fusion which is one that has a complete amino acid panel in addition to using quality products to make sure you are not neglecting your body’s need for the proper synergy. Plant Fusion Protein is not only a complete protein but also tastes great too furthermore making it very sustainable to use! You can click here to order this amazing plant based protein that comes in several flavors. We always recommend that you consult with your doctor or healthcare professional prior to making any dietary change, participation in any physical activity or self help program. The information contained herein are the opinions of the author and is in no way to be construed as medical advice nor intended to treat or cure any disease or infirmity. The information contained herein has not been evaluated by the Food and Drug Administration (FDA). Reader shall rely solely on their own judgement and decisions that may affect them.